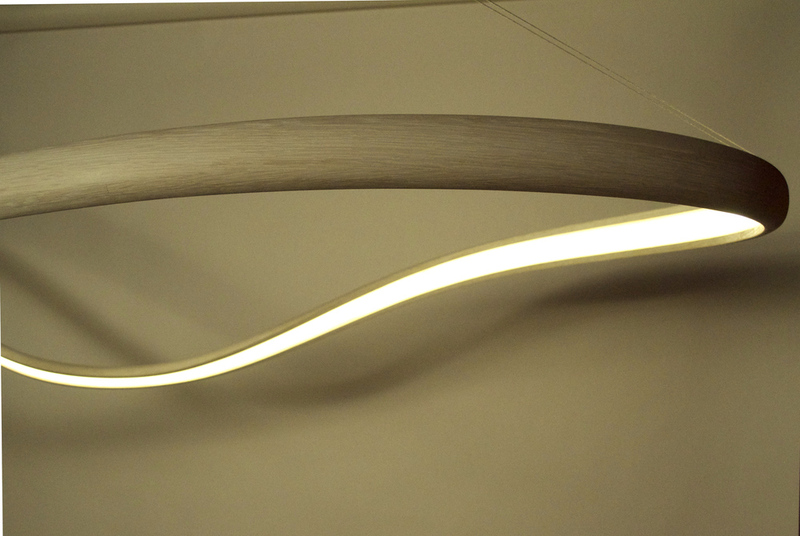 The Flux collection is the newest addition to John Procario's custom series of sculptural luminaries. 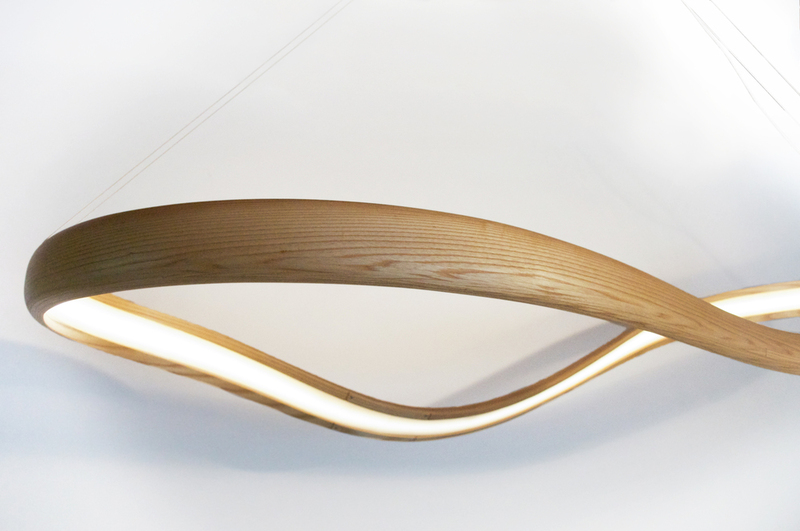 It is one continuous loop of a freeform bent timber. Flux has an intrinsic quality of not looking the same from any two perspectives. It’s as if the piece is constantly changing as you move around it. Dimensions: 84" x 36" x 24"
Dimensions: 72" x 32" x 14"